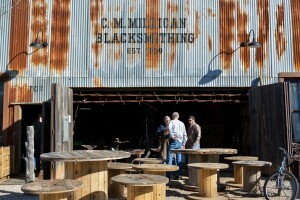 Students were taken on location to do a photo story for the conference at places like C.M. Millican Blacksmithing located in Grapevine, Texas. This photo, along with two others, received an honorable mention during the student practicum. 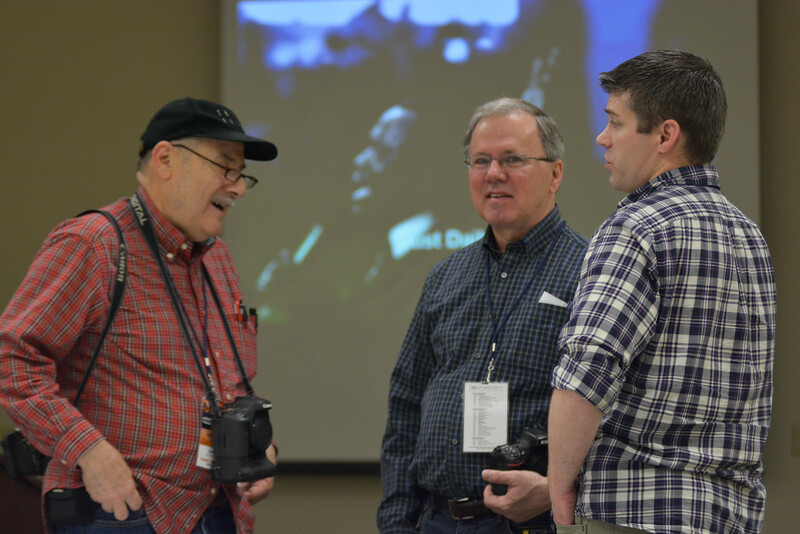 The annual Southwestern Photojournalism Conference (SWPJC) took place Feb. 26-28 in Fort Worth, Texas. 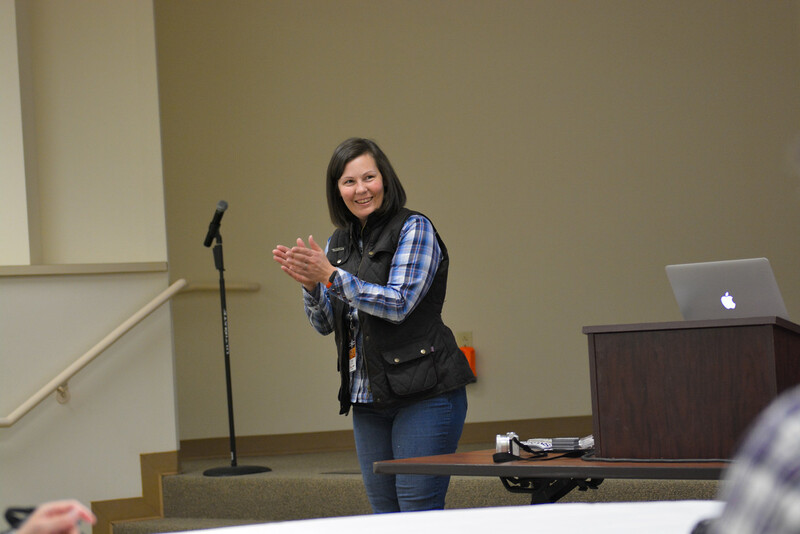 This conference was a time to hear industry leading professionals, including Brad Smith, Stacy Pearsall, Dave Black and Patrick Murphy-Racey, speak about their experiences in the field. The day before the SWPJC was a student practicum where students from schools all over the nation had the opportunity to be mentored by the professionals. Three Gardner-Webb students, Hannah Anders, Savannah Stringer and myself were able to attend. During the student practicum, students were taken out onto different assignments to do photo stories with guidance from these professionals, practicing techniques that the leaders use in their own work. Each professional has their own set of skills and techniques – Smith is the past director of photography for Sports Illustrated, Pearsall is a two-time winner of Military Photographer of the year who has photographed in war zones in combat, Black is a freelance photographer whose work has appeared in publications like Sports Illustrated and Time Magazine and Murphy-Racey has worked for several newspapers and is currently working in advertising photography. Keynote Speaker Brad Smith, talking to photographers about the industry. Brad Smith formerly served as director of photography for Sports Illustrated. Smith also shared his experience of working with and hiring photographers for Sports Illustrated, stressing how important making connections in the world of photojournalism was for someone who wants to go into that field. 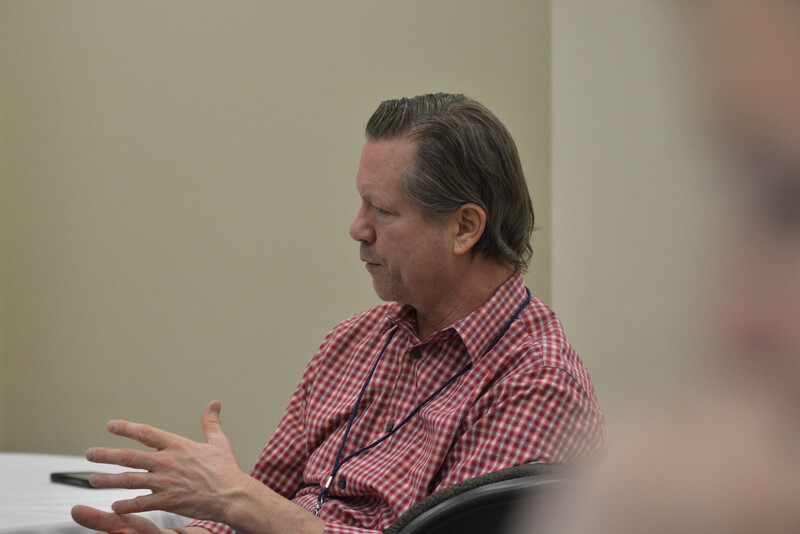 The SWPJC itself was an ideal time to network and make those connections with some of the industries most influential people within the photojournalism world. Photographers of all skill levels use their time at the SWPJC to make connections that can potentially lead to jobs. Among a variety of subjects talked about throughout the weekend was one of the more prominent lessons – how to make money in the industry. The speakers emphasized creating your own style and getting published to set your self apart from the crowd in order to get the chance to land more jobs and make more money. 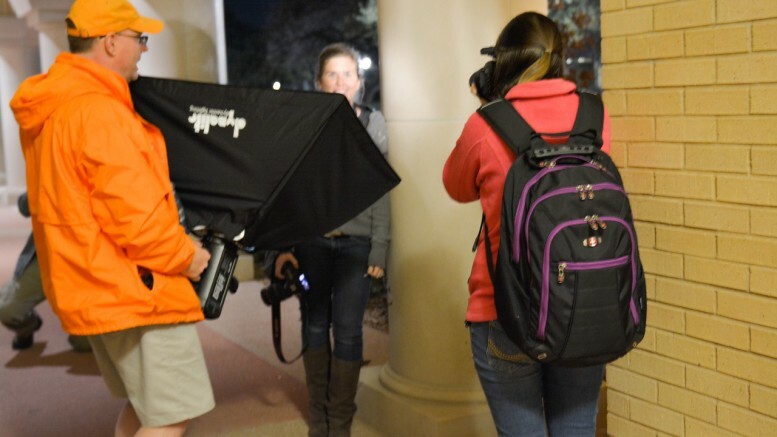 The experience gave students the ability to receive first hand experience of techniques and navigating through the business before exiting college and entering the field of photography. 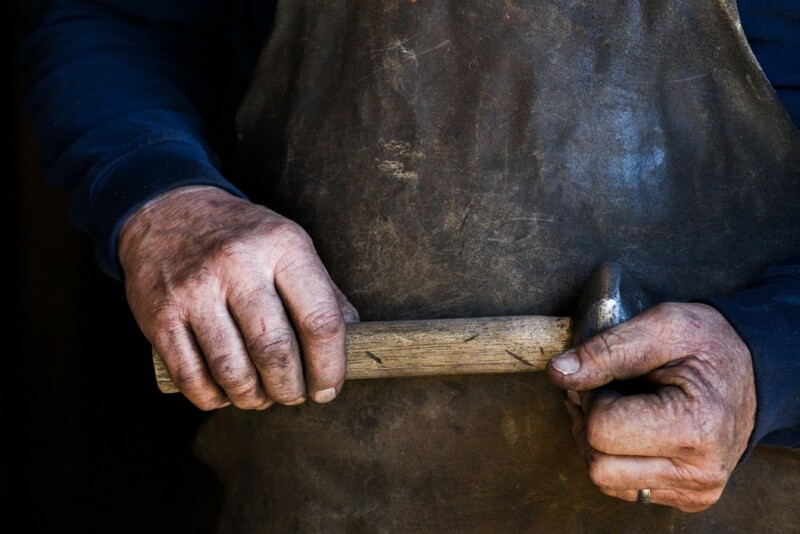 This photo of Will Frary, local blacksmith, along with two other photos from the set, won “honorable mention” during the student practicum portion of the SWPJC. Be the first to comment on "Photojournalism students attend conference, make connections"